For most homeowners today, the goal is to have a space that appears more open. 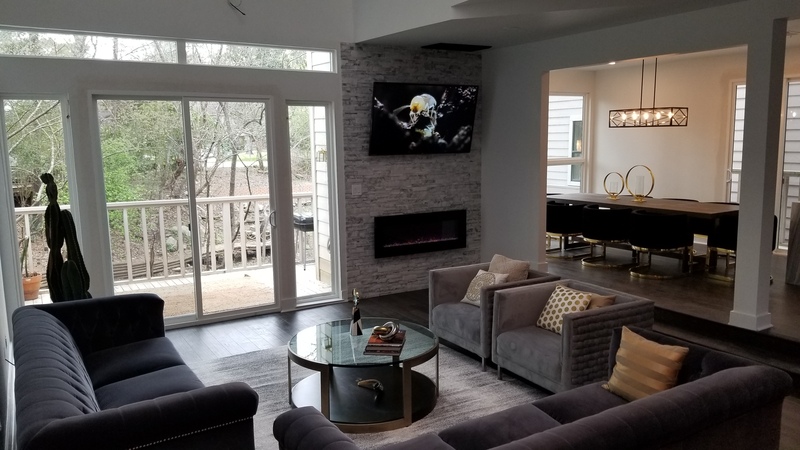 New homes today are being constructed with open floor plans, allowing families to be able to see each other in the living room, kitchen, dining area, etc. An open floor plan creates the illusion of more space as there are no walls blocking each room from the other. If you do not have an open floor plan in your home, there are ways you can make your home feel more open. Use any of the tips below to help your home feel and appear larger than it actually is! One inexpensive way to add openness to the home is to have windows place around your door entrance. This can include changing out your existing door for a unit that has a door and side windows or just simply add windows next to the door. With the added windows, the space will have more natural light which will create a sense of openness. The area will appear larger because there will be no shadows near the doorway causing darkness. Another great way to add an open feel to the home is with bright neutral colors. The more light you have in a space, the brighter and more open it feels. With your paint color, the goal is to add a neutral tone that will brighten up the space. The brighter the area the airier and open it feels. Today’s trends see more light blues and grays being used to create a neutral color palette in the home. If you have the means to do so, removing load bearing walls is a way to physically open up the home. You can break up the separation in between rooms, allowing the home to be one open space. Load bearing walls must be removed by a professional as they are a structural element of the home. A beam will most likely have to be added to the ceiling in order to support the structure of the home after the load bearing wall is removed. To create the illusion of open and larger space, consistent flooring is a must. Take for example distressed hardwood floors. This flooring type is a beautiful option that can easily be added to the home. With one flooring type, the rooms will naturally flow together, even if you do not have an open floor plan. This creates the illusion of one space which helps the home to appear larger. Another great way to add dimension and openness is to add faux wood beams to your home. This can be done in a variety of ways based on the space you have available. For many homeowners, faux wood beams are added to living spaces such as dens or family rooms. These rooms usually have vaulted ceilings which work well for the faux beams. The beams can easily be added, creating a lovely design feature for your home as well as drawing the eye upwards. This helps to create the illusion that the space is much larger than it appears. These are just a few ways you can make changes to your home to make it feel more open. Can you apply any of these techniques to your home? Consulting with an interior designer can help you to determine what changes can be made to your home that will ensure you have a lovely design and a more open space feel.